As in previous entries, Monster Hunter World will feature character creation for both your player character and your Palico companion. For the player character you can choose from 10 presets and edit face type, skin color, age, hair style, gender, eyebrows, forehead, eye color, eye position, eyelash length, nose, mouth, facial hair, makeup/face-paint, facial expression, voice, underwear, starting equipment, and lightning. 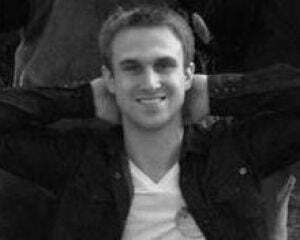 These changes will reflect in cutscenes as well as gameplay. 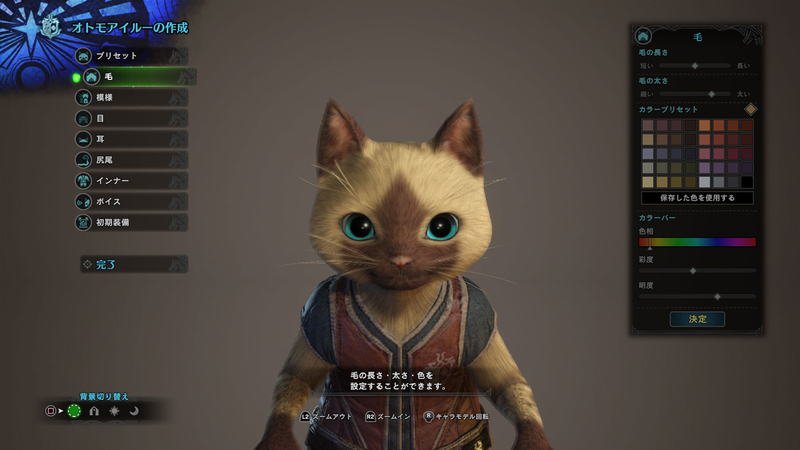 The Palico creator begins with 12 presets and then let's you change it's hair (length, thickness, color), patterns, individual eye color, ears, tail, voice, skin color, and starting equipment.